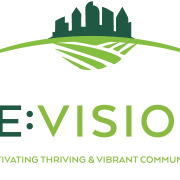 Re:Vision's mission is to work with people in economically marginalized neighborhoods to develop local leaders, cultivate community food systems, and build community wealth through a neighborhood-owned economy. Re:Vision was founded in Denver in 2007 by Eric Kornacki and Joseph Teipel for the purpose of cultivating thriving, resilient communities. In 2009, Re:Vision initiated a 10-year strategy to address health and poverty disparities in the Westwood neighborhood. Due to decades of neglect and underinvestment, Westwood faces some of the greatest health disparities in the city, resulting in a life expectancy that is 12 years less than the average life expectancy in Denver. Westwood is the youngest neighborhood, with 36% of the population under the age of 18. Westwood has the highest rate of obesity and third highest rate of poverty. Westwood is 84% Hispanic/Latino, and over 40% speak Spanish as a first language. Westwood suffers from the highest rate of childhood obesity in the city and significant diet-related health issues due to the absence of a grocery store and the high rate of poverty. The median household income is less than 1/3 of Denver’s median household income.